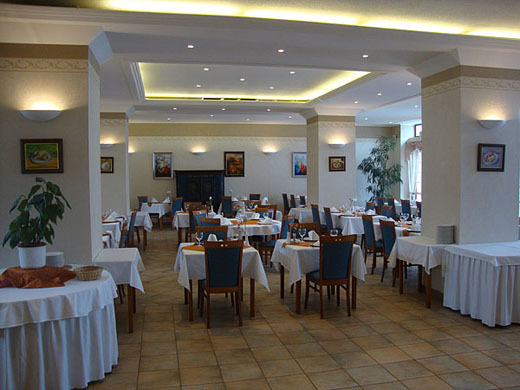 A positive disappointment awaits those in Döbrönte who believe in the exclusive and unbeatable nature of the French cuisine, the comfort of the German hotels and the friendliness of the hotel staff in the Far East. Our exclusive looking and decoratively-furbished, air-conditioned restaurant which can host up to 100 guests is suitable both for individual and group meals (including standing receptions, business and private meals, engagement parties or school leavers’ parties). Our kitchen staff, led by our chef, our menu and drink lists, as well as our helpful and eager restaurant staff meet the highest requirements of guests of taste. From spring until autumn the customers can have their meals on the terrace overlooking the park of the hotel. This room can be used as lounge hosting up to 40 people, therefore it is perfect to hold smaller gatherings, or family meals where our guests have an opportunity to make discussions in groups or simply speak with each other in an informal, homely atmosphere. We often organize wine, tea, cheese and chocolate tasting events in this room and we have had several kinds of displays for our guests. This room can hold about 30 people and is a perfect place for common recreation, like board games or cards. It also perfectly suits wine tastings, casual gatherings or dance parties. The room is equipped with audio and video devices, which makes it an ideal place for our guests to watch certain television programmes (Formula 1 car race, other sports events) or videos. In the basement of the former farmer’s house you can find the cellar bar next to the fireplace room with an adjacent winery. 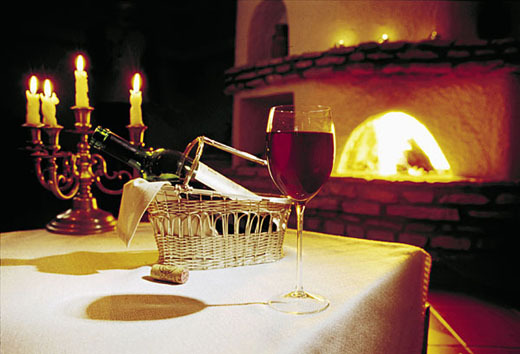 It is a perfect place for drinking wine and talking to friends until the small hours. As this hotel is family-friendly we can organize a grill party in the park or in the inner court of the hotel on request.